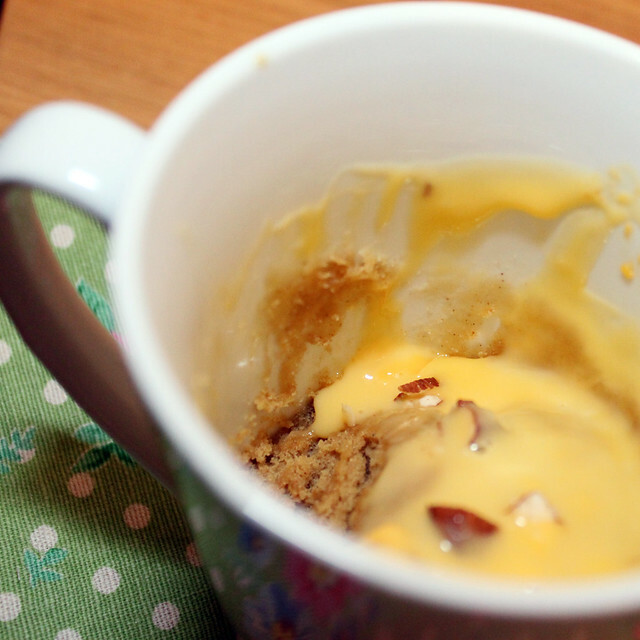 A gingerbread and sultana mug 5-minute cake. I am sure you have seen these all over the internet, so I am not going to do the whole “who thought you could make a cake in 5 minutes” thing. These aren’t the best cakes in the world – if you have a full hour then please, do make a proper cake, cooked in an oven rather than a microwave. However assuming like me you don’t have time to bake fresh cakes every couple of days. This Gingerbread Mug Cake will do just fine. 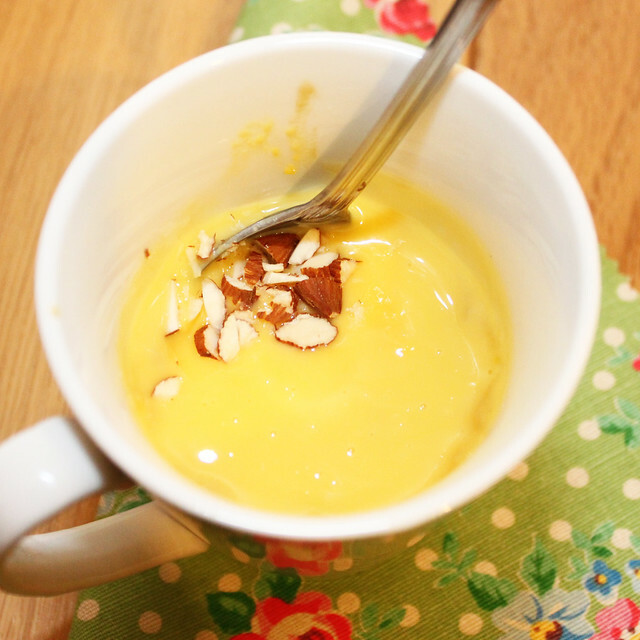 I would suggest that you definitely have some form of topping, a ball of icecream, whipped cream or custard (like me) as the cake can be a little dry. Secondly I actually made one batch between two, I think the full amount would have been a little bit too much for me to eat in one sitting.